Did you know that the kiwifruit’s skin is edible? The skin, even though fuzzy, is full of nutrients and fiber. Make sure to eat kiwis shortly after cutting. Kiwis contain a special enzyme that has tenderizing effects, which means that it will continue to soften the longer it sits after being cut. A 2-in. 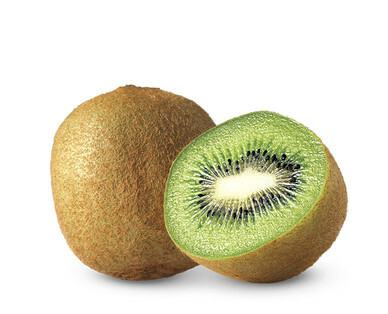 diameter kiwifruit contains 2 grams of fiber – that’s 8% of the recommended daily dosage from a tiny piece of fruit! Kiwis come packed with fiber, potassium and vitamins C and E.
With zero fat, cholesterol and sodium, you can treat yourself to these sweet green fruits all day long. Pick slightly firm kiwis with a rough, fuzzy skin.